Strawberries were grown in ancient Rome as far back as 200 BC. In recent history, France is the first to have cultivated strawberries around 1750 AD. Present day strawberry is the garden variety, a hybrid of a natural cross between the French and the North American variety. 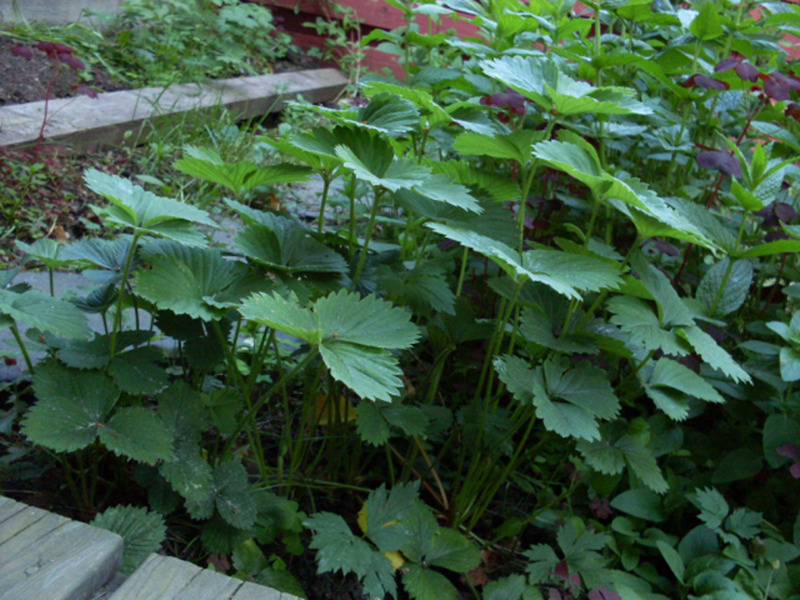 The strawberry plant is a runner and spreads horizontally on the ground. It produces red, sweet, delicately fragrant, conical, fleshy fruits. Though the plants live for 5 to 6 years, new plantation is done every year as the fruit production reduces rapidly every year. Strawberry fruit is termed an aggregate accessory fruit as the flesh is produced from the receptacle that contains the ovaries rather than the ovaries themselves. Each seed that is apparent on the outside of the fruit is in fact an ovary, with a seed inside. Today, strawberry is cultivated in many temperate regions of the world. In the US, 75% of the crop is grown in California. Strawberry has been ranked 27th best amongst all US foods and the 4th best amongst all fruits, in terms of its antioxidant capacity. It is amongst the top 50 antioxidant sources. 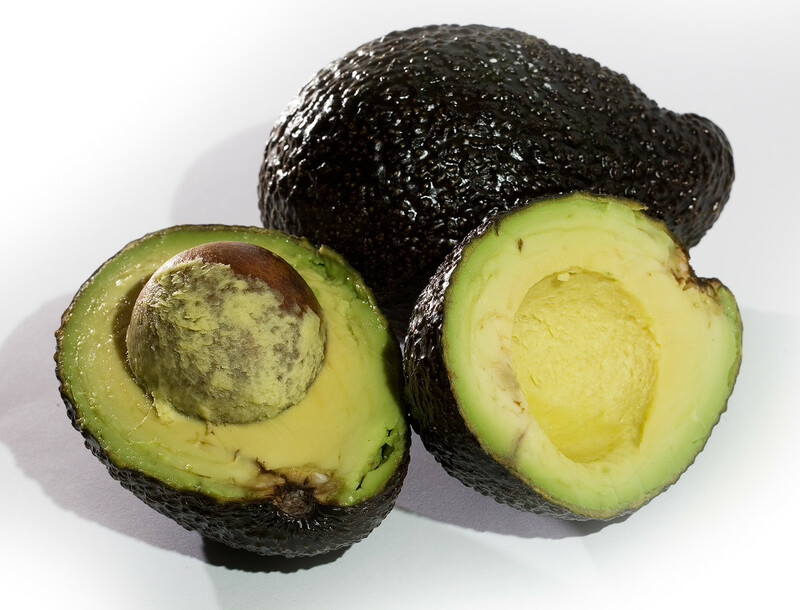 It has excellent levels of vitamin C, is rich in manganese and dietary fiber, has very good amounts of folate, iodine and potassium and appreciable levels of magnesium, vitamin K and omega 3 fatty acids, while at the same time is low in calories and has zero cholesterol. It is beneficial in treating liver disorders like hepatitis and cirrhosis. It is better to consume it on an empty stomach, about 2 to 3 cups daily. The juice renews the liver cells and tissues thereby improving the liver function. Taking strawberry juice for about 2 weeks days benefits in diabetes, gout, high cholesterol levels and arterosclerosis. Skin diseases like acne, psoriasis and dermatoses are relieved. It also detoxifies the body. The juice if consumed in summer prevents heat prostration as it is cooling. It eliminates fatigue and also benefits the nervous system. 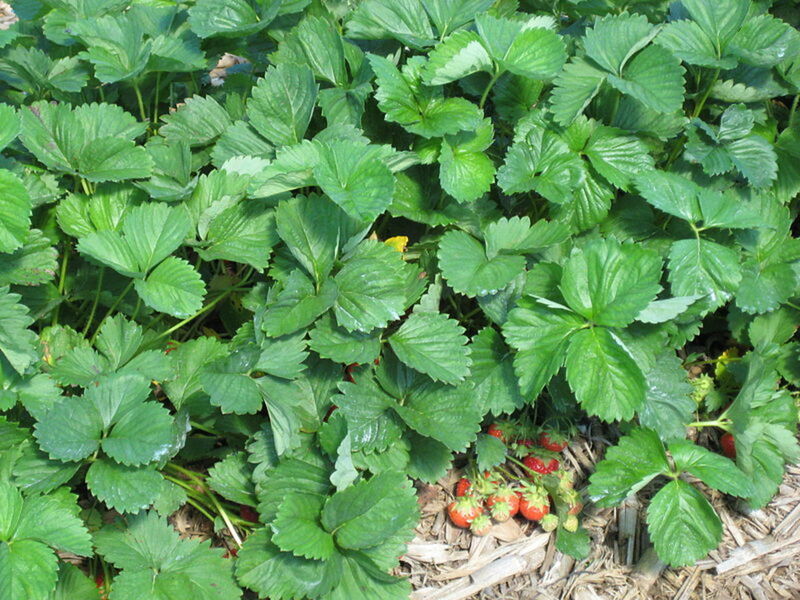 Strawberry leaves can be brewed to make a variety of teas. Nutrients can also be extracted and mixed with other nutrients to form tablets useful for digestive problems and health. The leaves contain compounds that exert a diuretic effect on the body and remove water from around the arthritic affected joints, thus helping in reducing inflammation and pain associated with arthritis and rheumatism. The leaves contain iron, calcium and high levels of vitamin C which are beneficial to health. The major benefit of strawberry is the massive heath benefit it exerts on the cardiovascular system because of the exceptionally high levels of phytonutrients and antioxidants. 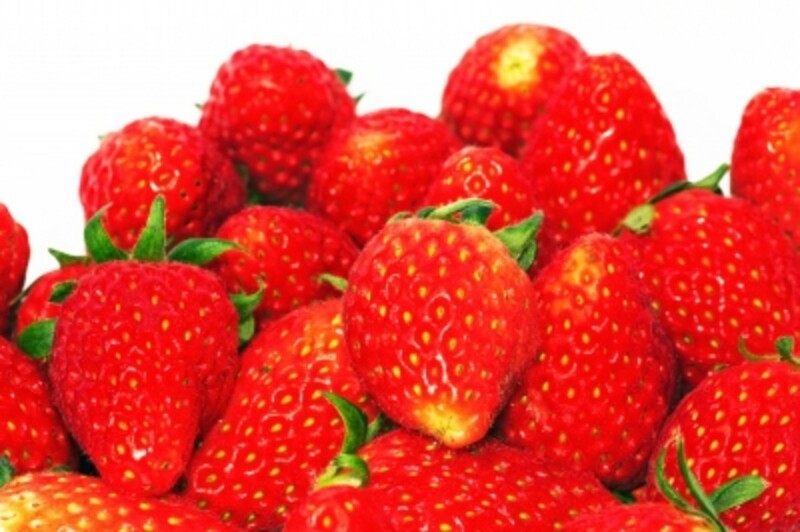 Because of the rich and diverse phytonutrient contents and high vitamin content, strawberries decrease fat oxidation, decrease level of circulating fats including LDL and total cholesterol, decrease activity of ACE, an enzyme which when overactive raises blood pressure and thereby lower blood pressure. They also reduce the risk of heart disease and stroke. Strawberries are an excellent anti-inflammatory and thus benefit in ulcerative colitis, arthritis and eye diseases, prevent cataract. 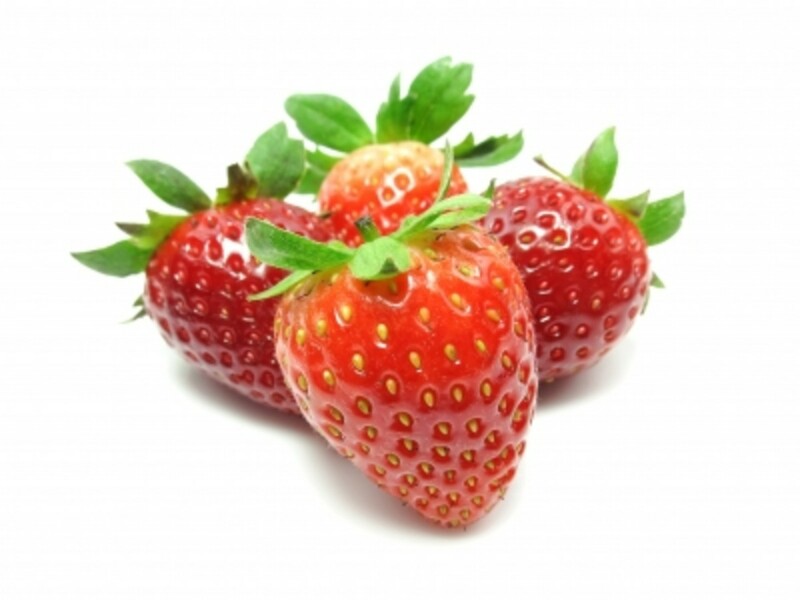 Regular intake of strawberries has been found to reduce the risk of type 2 diabetes. More importantly, a relation has been documented by researchers, in that, when strawberries are consumed along with sugar, the blood sugar levels are lower than when sugar is consumed alone. This shows that strawberries are able to decrease the blood sugar levels. The polyphenols are believed to be the reason for this. 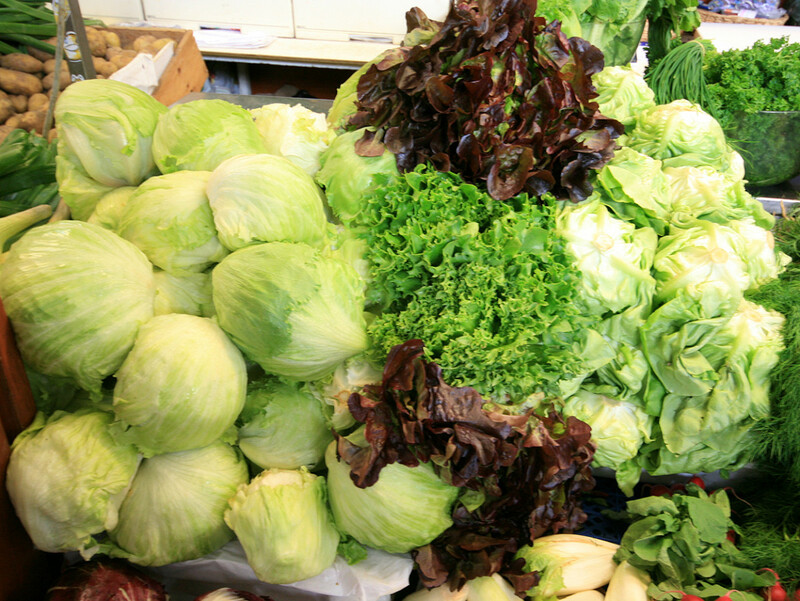 Reduce the risk of cancer and tumors, again due to the excellent phytonutrient and antioxidant spectrum of nutrients. Increase the cognitive function in aging persons. 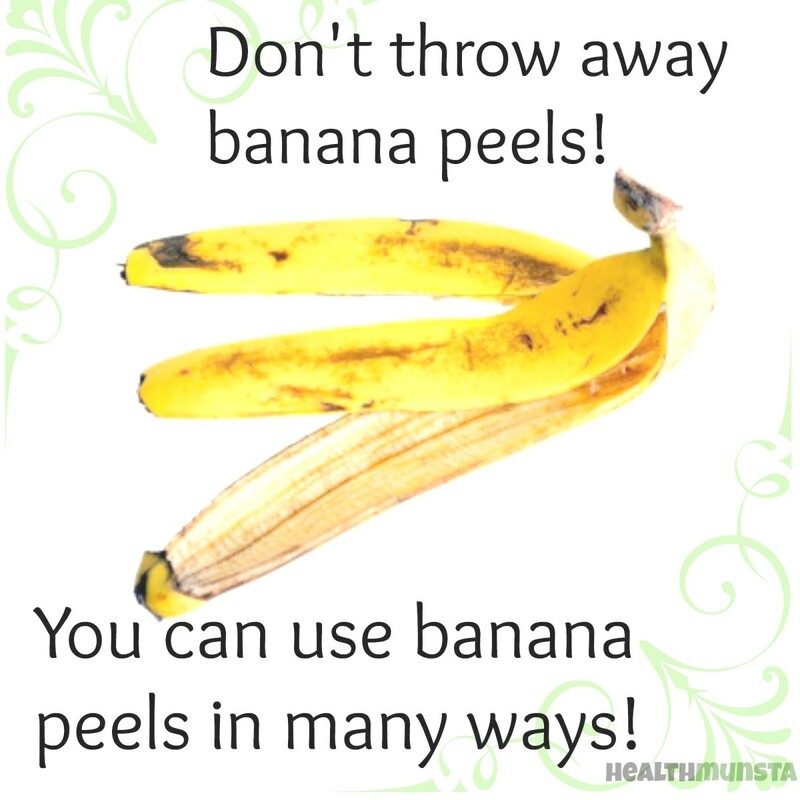 The acids in the fruit remove stains from the teeth, strengthen the teeth and gums. Improve immunity, maintain skin younger, promote pre natal health. 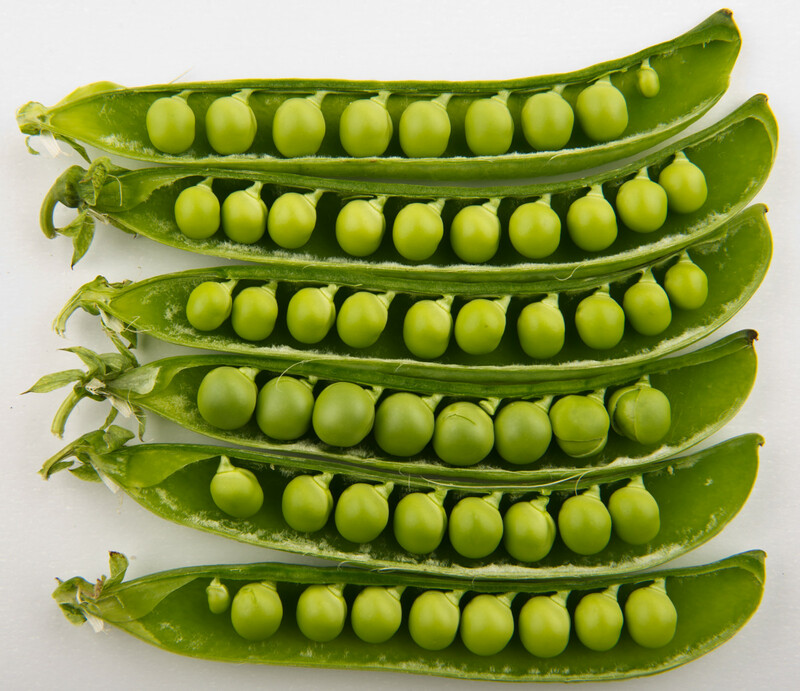 Are diuretic due to the high potassium content and detoxify the body. Though strawberries are full of health giving benefits yet some people show allergic reactions on consuming them. This is especially the case with the red variety of strawberries. This allergy is due a type of protein in the red strawberries and is called OAS or the oral allergy symptoms. The main lesions are exhibited in the lips, mouth and throat of the oral cavity and include itching and swelling, runny nose, sneezing. Some may exhibit symptoms in the eyes like itching, redness and lacrimation. Others may develop more severe symptoms like asthma, rhinitis and breathing difficulties, nausea and vomiting, cramps and diarrhea. If you develop these allergic symptoms, get medical help immediately and do not consume strawberries. 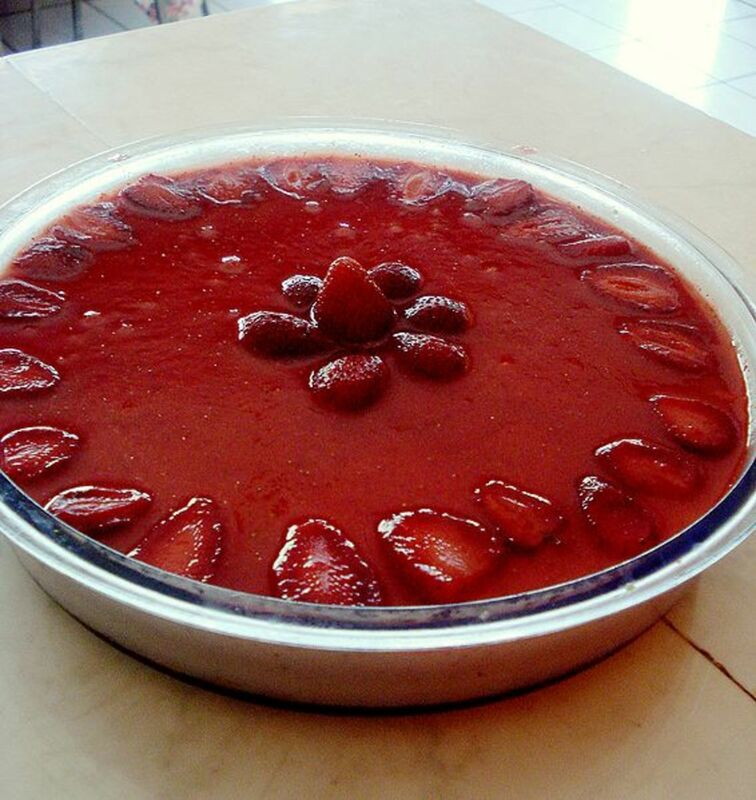 Cooking strawberries does not destroy or remove the allergen or allergy causing protein. So it is best to avoid strawberries in any form. 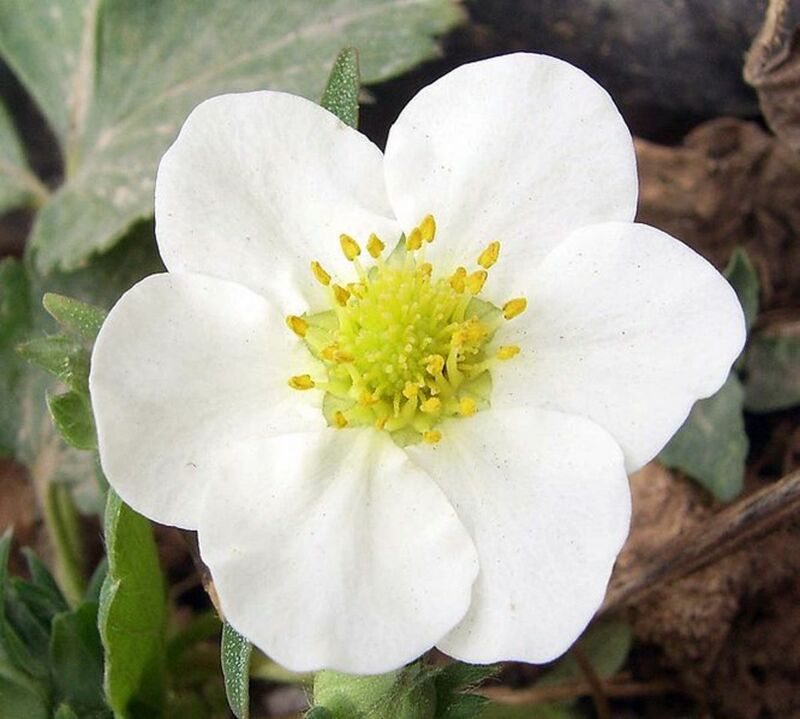 However, a white variety of strawberry, called Sofar, does not contain the type of protein or allergen that is in the red variety of strawberries and therefore does not cause this allergy in persons allergic to red strawberries. This was found by the Biochemists doing research on different kinds of protein in strawberries, at Lund University, Sweden. Strawberries are extremely perishable and stay fresh for a few days only. Choose firm, mold free, plump berries with a shiny red color and green caps. Strawberries do not ripen after picking, hence, select only the ripe ones which are bright in appearance. A fully ripe berry will have optimum levels of Vitamin C and phytonutrients. Studies indicate that strawberry stored for 2 days does not show any major loss of vitamin C and the poly phenols. They can be kept in the fridge for 2 days. 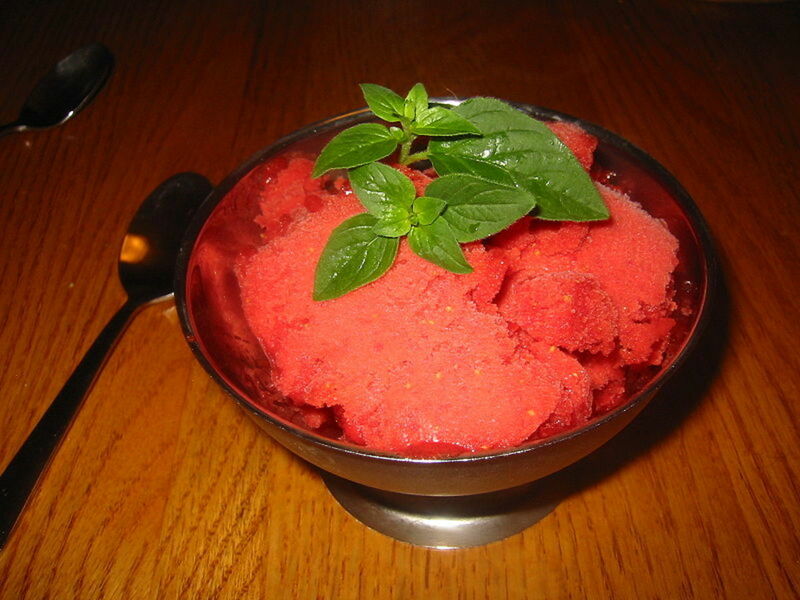 Frozen strawberries keep well for about a year. Add some lemon juice to preserve their color. For maximum storage levels of vitamin C, freeze whole berries. Chilled Strawberry Soup is a fantastic dessert for kids and adults alike and during summer a great refreshment. Strawberry bread is a fantastic breakfast treat: eat it alone or with strawberry jam! @MSGolden-glad you like the info. Thanks. Hello, Rajan Jolly excellent information and great video about making chocolate covered strawberries, and as always you write great full informative Hubs, Thanks a million times. We (especially hubby) love strawberries. Only downside is that they are soooo perishable sometimes. We'll have to learn to freeze them. But it's hard to beat fresh ones. In our area, we've got to wait 'til next year to enjoy them again. :( Oh well... thanks for showcasing strawberries! Cyndi, it feels good inside when one's work is appreciated as much. Including my hub links into your dessert recipe dessert recipe is a great honor. Thank you. I have included a link to your video hub on chocolate in my hub chocolate hub. I love your video hub on chocolate legend. Are you making a video hub of this too? I'll be anxiously awaiting this hub. This hub looks good enough to eat! I'm making a dessert recipe and I'm going to have to link back to this and your raspberry hub, too. Yum, yum! The pictures are beautiful, I love how you go into detail about the benefits of strawberries. Thanks for sharing this. omergin, thanks for reading and liking. I'll be checking your link. Nice information in your post.this is my post check this comment how its benefits. pandula, nice to know you found it informative. Thanks for visiting and I appreciate your comments very much. A very well written and an informative hub! Thanks for sharing. It is interesting to note that taking sugar with strawberries could reduce the blood sugar rise in comparison to taking sugar alone. Great news! rneufeld, thanks for stopping by and leaving your kind comments. Good information and worth knowing! My wife and I just went strawberry picking! Thanks for the article! Dana, glad you liked the hub and information. Yes, I think its time to go picking strawberries. Enjoy! Thanks for stopping by and I appreciate your input. So much good information! I learned a few years back that strawberries are surprisingly low in calories, but I did not know about all of the great nutrients. And I did not know that you can consume the leaves. I have difficulty getting enough iron and am very pleased to see that they have some. I really enjoy that you put in alittle history and general information too. I love learning where things come from and interesting facts about them. KDuBarry, delighted since you are already eating all the healthy berries including strawberries. I hope you must be feeling good too knowing about the health benefits. Thanks for your uplifting feedback for which I am thankful, as well as, for sparing time to read and leave comments. Very useful. I have recently gotten myself on eating more berries. I eat strawberries, blueberries, raspberries, and drink fruit and berry smoothies. Strawberries are delicious and healthy for you; I just didn't know they were this healthy! I usually use strawberries, with raspberries and cranberries, for fruit smoothies to start off my day. Thank you for sharing! Thanks for reading and liking. I appreciate it. Very interesting and informative article. I love strawberries, although I have a minor allergic reaction to them. hyden, glad to know you find this hub informative and you appreciate the health benefits of this fruit. I am thankful for your feedback and appreciation. reagu, I hope you like the strawberry tea too. Thanks for sharing your ideas. Your visit is much appreciated. I love strawberries. 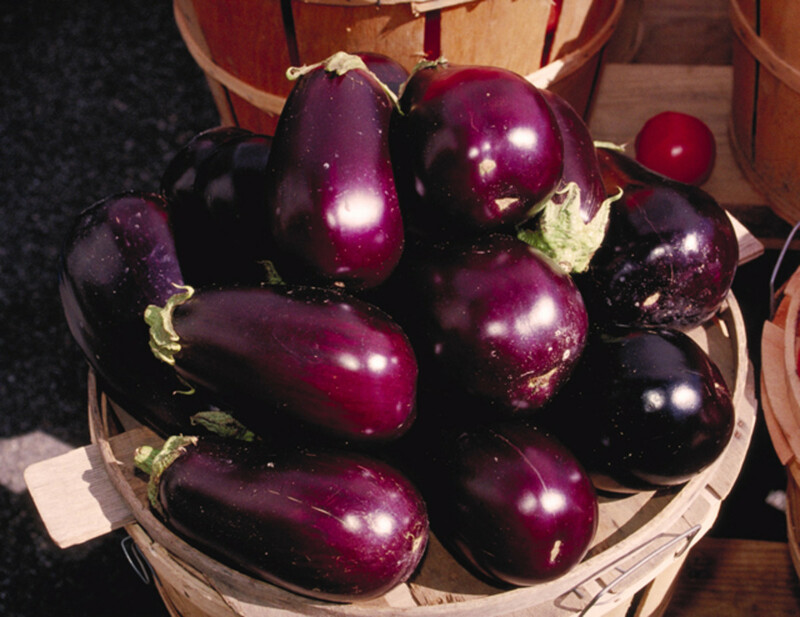 I always get them at the local farmer's market when I can. I'm also a tea fan and thanks for letting me know that strawberry leaves can be made into tea. CZCZCZ, feels nice to have your feedback regarding a healthy fruit. Thanks for reading and sharing your views. I am a big strawberry lover. Was interesting to read this article and see details concerning the benefits. We usually have a few strawberry's on our plate in the morning for breakfast and are one of the things I grab when I am looking for a quick snack that is healthy, tastes good, and gives me the boost of energy I need in the afternoon. endless sea, thanks for showering so much love and appreciation on the write up. I appreciate your stopping by. jasmith - Thanks for stopping by and appreciating. Glad you liked. Homechef - Nice to know you found it informative. I appreciate your sparing time to read and comment. Laura - I'm happy the hub provided you with the info you wanted. Thanks for stopping by and appreciating. Great hub with tons of interesting information. I never knew that you could brew strawberries leaves for tea. Another reason to plant some this spring! Beautiful pictures - reading this made me hungry! Thanks for the in depth info. STEVEW, I'm sure with a little more practice the strawberries are just going to be fine. I'm glad you tried! Thanks for giving this hub a thumbs up. Much appreciated. Katherine, Hi! Thanks for reading and sharing your views. And a lot more thanks for sharing a link to a strawberry smoothie for the benefit of readers. Thelma, thanks for reading and sharing. Much appreciated. Voted up and useful. Thanks for SHARING. Nicole, I do hope you freeze strawberries this time around to enjoy their benefits for a longer time. I really appreciate your visit and am thankful for your input. Yum, these strawberries made me hungry! We tried to grow strawberries in our garden last year but we weren't very successful. I've had more success buying them at the store, but forget to freeze them to last longer. I will try to keep that in mind now! Jools, I don't believe I couldn't get tired of eating fruits too many, LOL. Rajan, good idea but I would then be drinking too many milkshakes! I couldn't trust myself to just each the fruit on its own, LOL. Jools, you could try freezing or buy frozen berries to continue taking advantage of the health benefits of strawberries during the off season. Thanks for the read, vote and your appreciative comments. Loved this hub. Strawberries are my absolute favourite fruit and when we have them in season here in the UK (only about 6 weeks over June and July to get them at their best) I eat them almost every day with sugar and cream...heavenly! Voted up, very interesting. @ Jhangora. Thank you for stopping by to read and leave tour inputs. A hub on raspberries is in the pipeline. @ Mala. I appreciate your visit & comments. Thanks for the vote up. very interesting and useful hub. Voted up. Thanx a lot for such an informative Hub on the benefits of Strawberries Rajan. I'd love you to create a similar Hub on the benefits of Raspberries as well. I am sure you'll do a great job. starsteam, thanks for stopping by and I'm glad to note you found it informative. It feels nice to be complimented. Strawberries are one of my favorite foods. Your article is a helpful one and I learned some things about the berries which I didn't know. I voted it up! @ barbergirl28. I hope with the added info on strawberries you will be inclined to try them more often. Many thanks for stopping by and leaving your appreciation. Thanks for the vote up. I appreciate all the comments. I am a big fan of strawberries... however, I rarely eat them because I am so picky about them. When they are in season, I love to make jam with them as well, but I only pick them up when I find the perfect package. Otherwise they end up going to waste too fast. Thanks for sharing all this wonderful information about strawberries. I assumed they were good for you, but I didn't realize how many benefits they had! Jeannieinabottle, thanks for the read, comments and vote. This hub has so much information on strawberries I never knew! I never realized strawberry leaves could be used for tea. Thanks for sharing this info! Voted up! @ Lady_E - thanks for reading and leaving such appreciative comments. It is always a pleasure to see you here. @ Hawkstryker - I hope you enjoyed those strawberries! Thanks for the read and I hope you benefit from it. Many thanks for your kind words. Nice hub Rajan! Very informative. Right, I'll go get some strawberries now then! I love strawberries and I learnt a lot about the benefits and qualities in this Hub. Thanks for the Recipes too. Melovy, I didn't know they could be grown in Scotland. thanks for this info. I agree pesticide residue in food is a big concern these days and organic is always safer. Thanks for being here and am glad to see you here. Lovely hub. I’m feeling hungry looking at all those photos. I love strawberries and we can even grow them in Scotland in the summer. I didn’t realise they are so high in antioxidants. Did you know however, that non-organic strawberries contain more pesticide residue than any other fruit or veg, so buy organic or at least unsprayed if you can! Yes, I agree Daisy. 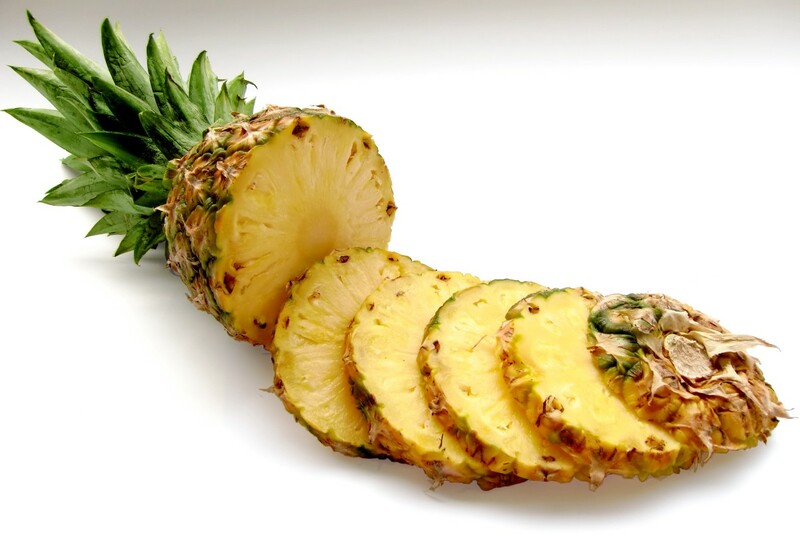 You have easy access to this wonderful health giving fruit. Thanks for your input and appreciation. I appreciate your stopping by. Thanks for publishing this very well-written, well-researched Hub. I'm fortunate in that I live in Southern California. 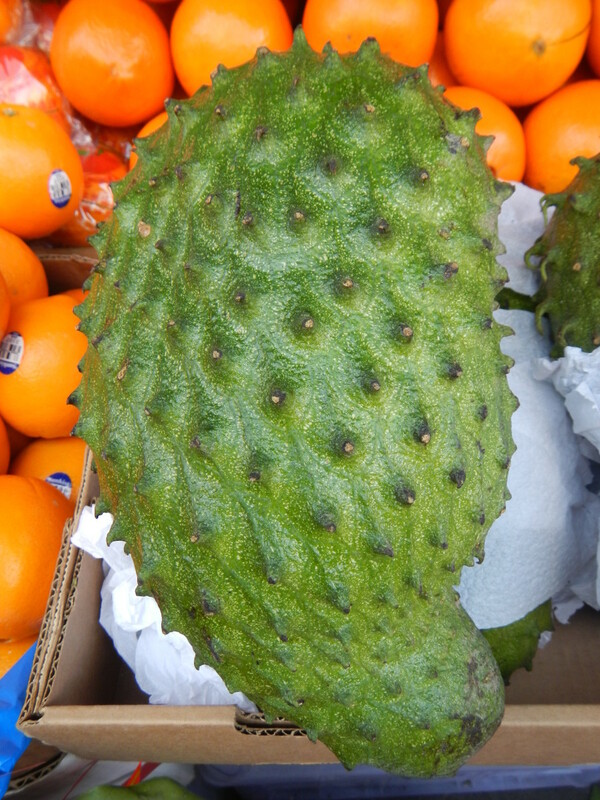 We have no problems finding this healthy, delicious fruit in the local market at very reasonable prices. Hi Tams R, thanks for the info. Glad you appreciate. Thanks for your visit. What a coincidence. I was just talking about strawberries and asked what they provided health-wise. Now I know. Thanks! Thanks for stopping by, Kimberly. I appreciate your comments and sharing. Very thorough, interesting. Information. Socially. Shared.